Those with occipital neuralgia have jabbing pain in the areas of the greater or lesser occipital nerves, or the third occipital nerve. The pain is usually in the lower back of the head on one side, though it can spread to other areas. Usually there is also tenderness over the nerve. 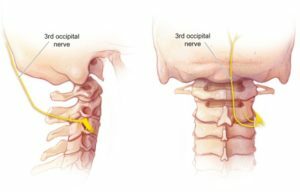 Patients may be selected for Occipital Nerve Radiofrequency Denervation because it has good efficacy for this condition.